Thames Valley Police in partnership with Food4families and working with volunteers from Reading Food Growing Network, pupils from Deemway Montessori School and students from Activate Learning Reading College have been creating a temporary community garden on the site of former Civic Offices until they are re-developed. Study of the Victorian maps of the area that was demolished to make way for Civic Offices, Courts and Police Station show that there were many courtyards with edible connotations: Wine Court, Lavender Place, Cherry Court, Plum Court, Grape Passage. This may be indication of small holdings. Lavender Place was just where the herb garden will be. See the concept design plan and document. 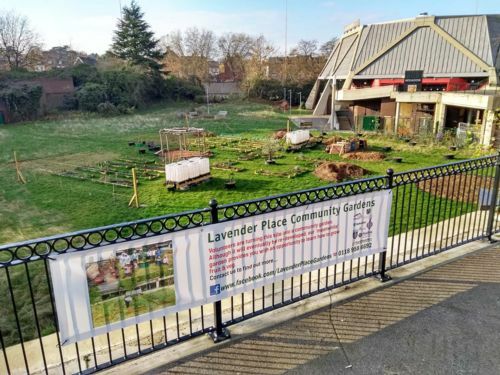 Work commenced in June 2018, with an area being mown, raised beds constructed by Activate Learning from Reading College, and a herb garden laid out by Deenway Montessori School, all supervised by Food4families with help from members of Reading Food Growing Network. 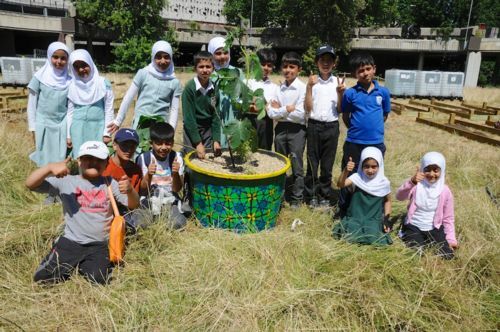 Fruit trees and bushes have been planted in pots, and vegetables added to the beds. 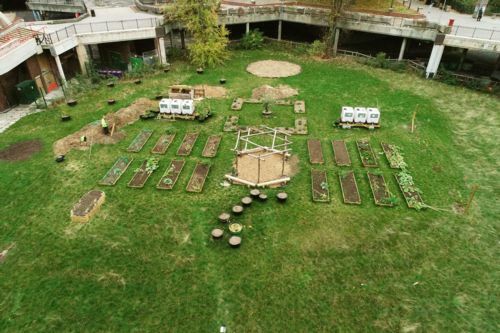 The vision is for the garden to be accessed by all members of Reading's community as somewhere to come together to grow fruit and veegtables but also just to enjoy as a beautiful green space. 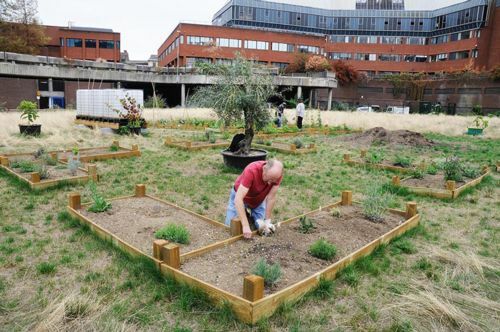 Lavender Place Community Gardens begins to take shape with raised beds and water containers. An Olive tree stands in the middle. 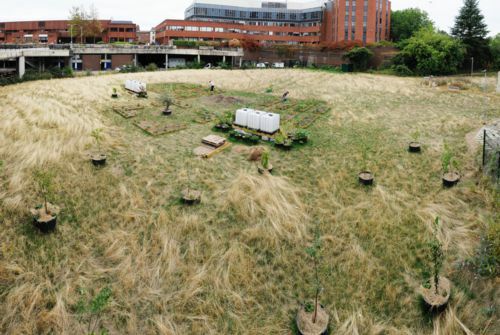 The Hexagon overlooks the garden area with wood-chips in a circle marking out the beginning of an Amphitheatre. A pergola can be seen to the left with a seating area over to the rear. The extent of the garden under development in August 2018, each of the pots contain shrubs etc. The Civic Centre Offices were occupied by Reading Borough Council which became the site of Lavender Place. 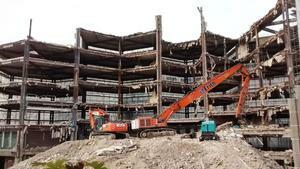 The Council were re-housed and demolition took place. 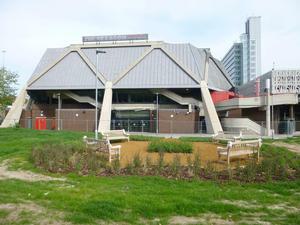 One of the early developments was the seating area at the foot of the Hexagon Theatre. Grass had been sown and allowed to establish itself before being prepared and mown for the garden. 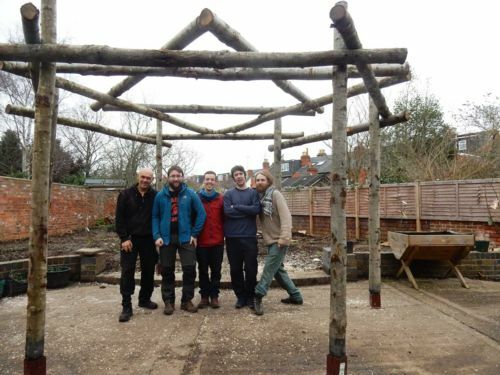 The Pergola crew erected one of the early structures in the garden as they have in many gardens throughout Reading. 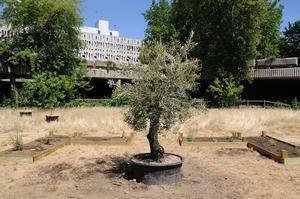 An Olive tree is introduced among the raised beds. For further information please go to https://www.facebook.com/LavenderPlaceGardens/ or contact us.